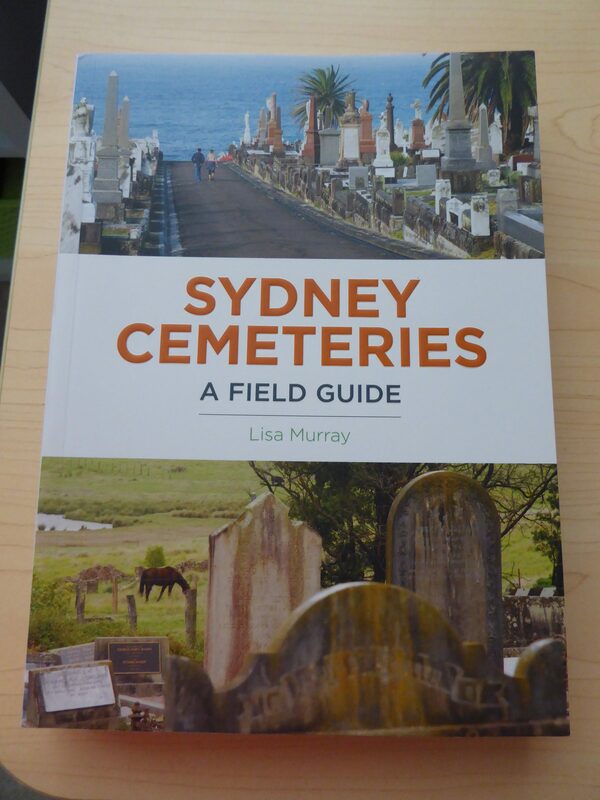 Sydney Cemeteries, A Field Guide, by Lisa Murray. Divided into nine different areas, covering Greater Sydney, as far west as the Hawkesbury, it lists both old and new cemeteries, not just the big ones like Rookwood or Waverley. A map is given at the start of each section and each cemetery has the full address, a date range for burials, notable burials, more information, some also have tips, like where to park. Lisa also does a ‘Top 5’, for things like Seraphs and Angels, Floral Displays, to name just two. I first just flicked through and read those only, then went back and read up on the cemeteries I was interested in. Published in 2016 by NewSouth Publishing, University of New South Wales. The Society of Australian Genealogists, Dymocks, QBD and Kinokuniya have it listed in their catalogues.